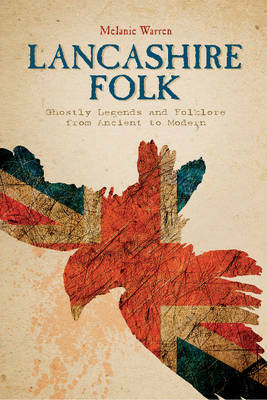 Journey through Lancashire, England, to visit 155 places where strange history meets creepy modern times. Arranged alphabetically by town and place, the stories tell of ghosts, witches, fairies, dragons, and altercations with the Devil (who is not as clever as he thinks!) Legends connected to ancient monuments, holy wells, and the locations of Green Man carvings are also included. Sometimes these tales echo history and sometimes they come from a deeper folklore. Sometimes ghost stories are discredited...sometimes they are not. A useful guidebook for tourists and travelers, this book is also an invaluable compendium for serious researchers. Stories are indexed by type and a separate index lists postcodes and Ordnance Survey map references for those who wish to visit the locations for themselves. Lancashire Folk enjoyed a full page feature in Lancaster Guardian's 'Nostalgia' section, 19th May 2016! Lancashire Folk enjoyed a double-page spread in the Lancashire Evening Post newspaper on Wednesday 18th May! Melanie Warren was interviewed on influential US station Darkness Radio on March 18 2016.